Last year I wrote about the Paul Butterfield documentary Horn From The Heart. I am pleased to share that there will be a screening at The Fairfield Stage One on November 27th in Fairfield CT. It will be followed with a Q and A with filmmaker Sandy Warren and musician Mark Naftalin. Mark played keyboards in The Butterfield Blues Band on the first five albums. Mark hosts a blues radio hour on WPKN-FM. He also plays twice a month with various musicians at the 323 Restaurant Bar in Westport, CT.
Alligator Records may well be the premier blues record label on the planet. A quick review of the label’s releases over the past forty-seven plus years turns up one legendary artist after another, and some of the leading lights of the current blues scene. At the center of the label stands Bruce Iglauer, founder and owner, who now gives blues fans a deep, compelling look into how he built the label from a very humble start. In the book’s forward, Iglauer is clear about his motivation for the Alligator label. “Most of Alligator’s records move your feet or your body, but we also try to make records that move that other part: your soul. It’s music that can cleanse your inner pain by pulling that pain right out of you….the mission of Alligator, was to carry Chicago’s South and West Side blues to a worldwide audience of young adults like me. Now it has become a mission to find and record musicians who will bring the essence of blues – its catharsis, its sense of tradition, its raw emotional power, and its healing feeling – to a new audience”. As a college study in Wisconsin, Iglauer visited Chicago, primarily to visit the Jazz Record Mart and to find a blues band to book for his school’s homecoming dance. Once there, he fell under the spell of Bob Koester, legendary owner of the store and the Delmark Record label. Koester assigned one of his employees to take Iglauer around to some of the clubs on the south and west sides of Chicago. At a small joint owned by the late Eddie Shaw, Iglauer saw guitarists Otis Rush, Jimmy Dawkins, and Hound Dog Taylor, who made an indelible impression. Finishing school, Iglauer made a permanent move to Chicago, where he started working full-time hours as the Delmark shipping clerk for part-time pay. He spent his nights in the blues clubs throughout the city. Iglauer would frequently catch Taylor and his band, watching them fill the dance floor night after night. It was a raw sound form a self-taught musician, as the author notes,”He couldn’t read music and probably could not have told you the name of the notes the strings of his guitar were tuned to, and, as he tuned by ear, they might be different on different nights”. Once he established that Koester had no interest in recording Taylor, Iglauer put his plan together to record the band with Brewer Phillips on guitar and Ted Harvey on drums. Those sessions became Hound Dog Taylor And The House Rockers, the 1971 release that announced the start of a new blues record label. Along with co-author Patrick A. Roberts, Iglauer weaves a fascinating narrative that delves into three separate aspects of the Alligator story. An obvious focus is the owner’s recollections of all of the artists that found a home on the label, many becoming close personal friends. 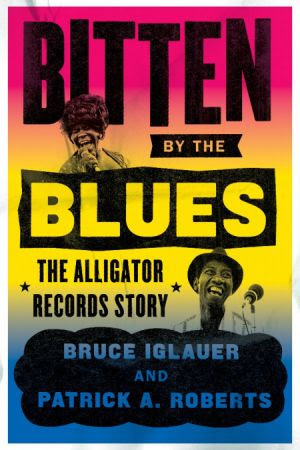 From legends like Albert Collins, Koko Taylor, James Cotton, Luther Allison, and William Clarke, to guitar heroes like Johnny Winter, Roy Buchanan, and Lonnie Mack, as well as bringing Louisiana artists like Professor Longhair, Dr. John, Katie Webster, and zydeco king Clifton Chenier to a wider audience, Iglauer’s stories provide meaningful depth to our understanding and appreciation for these artists. There are also moments of sadness, with the passing of friends or tragic accidents, like the 1978 train derailment in Norway that nearly killed Iglauer and the entire Son Seals Band, in the mist of a European tour. A second aspect of the book chronicles Iglauer’s growth as a human being, and as a label owner. He offers fair assessments of his shortcomings as well as some of his best ideas. The label hit the jackpot with the double disc Twentieth Anniversary Collection, which sold ten times the number of a regular solo artist release, and the Grammy winning Showdown, which combined the talents of Collins, Robert Cray, and Johnny Copeland. Early on, he learns several valuable lessons regarding the role of producer on recording projects, including the need to say no when required. At one point, Iglauer became a reggae fan, and released a number of fine recordings in that genre that failed to connect in the marketplace. Realizing his dream to work with another legend, Johnny Otis, Iglauer quickly learns what happens when you craft an album with too much blues for the R&B crowd, and not enough blues for that audience. He even readily admits to turning down a one-shot offer to record Stevie Ray Vaughan early in his career. Perhaps a crucial part of the narrative concerns the description of the actual business of running a label. Over time, Alligator grew to be more than just a record company, offering artist management, bookkeeping, and tour booking services for the musicians on the label. Iglauer sheds a light on some areas of the business that the average fan may not understand. He enlightens readers on the practice of licensing recordings from other labels for release in a new market. His explanation of the record distribution system is telling, both in the way it progressed from the owner delivering boxes of albums from the trunk of his car, to major distribution companies that allow music to reach a wider market, but can be disastrous for a label like Alligator if the distributor fails, leaving tens of thousands of dollars in unpaid invoices. There is also reflections on the challenges of selling albums versus compact discs, and the on-going struggle to figure out on to make money for the artists and the label as streaming services continue to have a severe negative impact on music sales. It is a story well-told, one that will resonate with every blues fan. In fact, anyone who loves American roots music should pour through this book. Readers will undoubtedly gain new insights into some of their favorite musicians and classic recordings, in addition to getting a firm grasp on the magnitude of achievements that Iglauer has accomplished through the Alligator label. This one is most highly recommended! 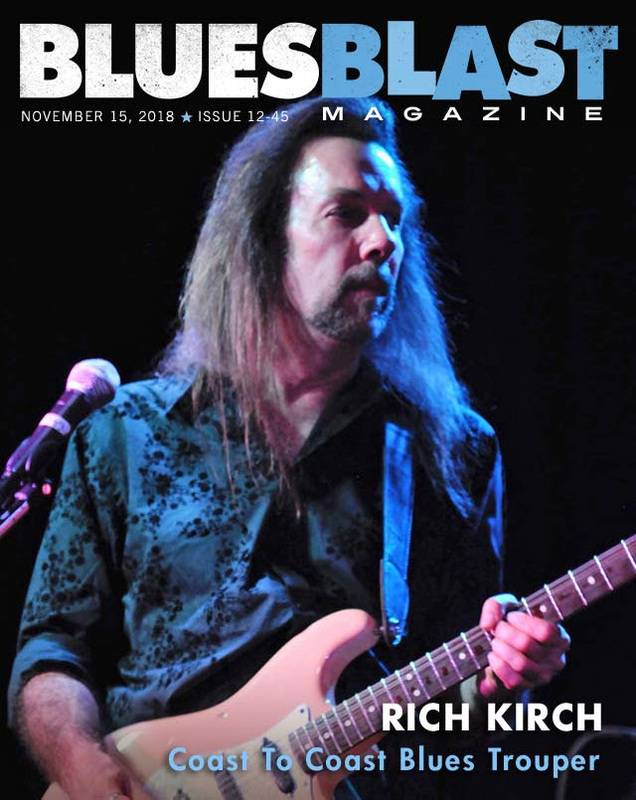 This review is courtesy of Blues Blast Magazine and is featured in the November 2018 issue. This Christmas advertisement from John Lewis & Partners featuring Sir Elton John is certain to touch your heart. Is there anything more precious than a boy, his piano, and a gift from his Mum?